Acquiring real properties is one of the best investment nowadays. Prices of land are increasing as time goes by. Available foreclosed properties from different banks or financial institutions are attractive for those who are looking for a property at a cheaper price compared to the real property market! So if you are hunting for properties, you might want to check the following properties from EastWest bank! 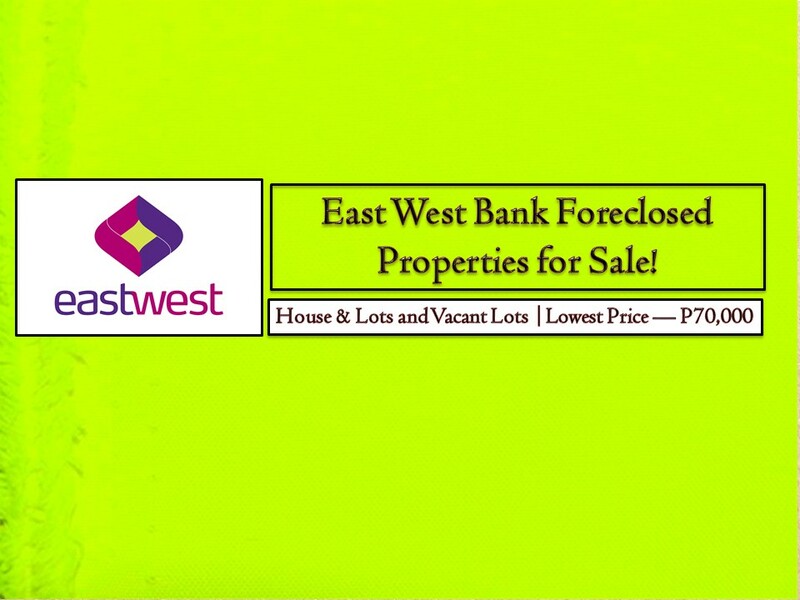 The complete list of foreclosed properties for sale from EastWest Bank this April 2019! Note: Jbsolis.com is not affiliated with EastWest Bank and this post is not a sponsored. If you are interested in any of these properties, contact directly with the bank's branches in your area.